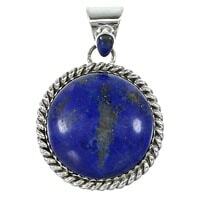 Our selection of beautiful lapis pendants is among our most popular categories here at SilverTribe. We work to provide only the most stunning and vibrant stones at the best price imaginable. 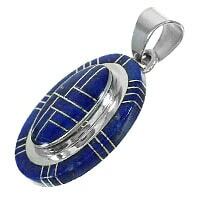 One of the most appealing aspects of lapis is the deep, rich blue color that mingles superbly with sterling silver in our huge variety of lapis pendants. 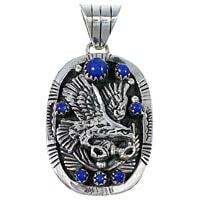 Nearly every tribe in the Southwest is represented in our massive selection of lapis pendants. 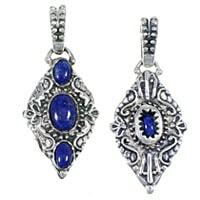 Our collection includes stunning examples of the inlay technique, in which lapis is expertly carved and placed in sterling silver alongside other stones. 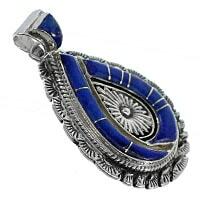 No matter what type of lapis pendant you are looking for, we are sure to have the right item for you. While lapis is a somewhat recent addition to Native American pendants, the stone has been mined all over the world for generations. The tribes of the Southwest put the stone to good use once it was introduced to artists. Lapis is one of the most stunning stones used today thanks to the vibrant blue color that comes in many different shades, from deep dark blue to light denim lapis. It is also a versatile stone that can be used by itself or with other stones to equally dazzling effect. 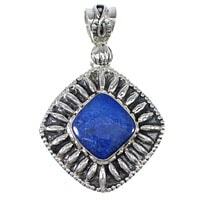 At SilverTribe, you'll find the best prices on a huge selection of lapis pendants that will suit any style. We carry simple, elegant and tasteful pendants for any occasion. 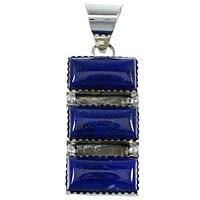 We also have lapis pendants that are sure to turn heads at any formal function. 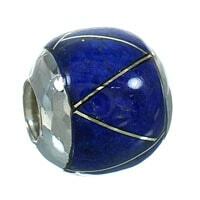 Lapis has not only been prized for its beauty for centuries for its immense beauty. Cultures from around the world have attributed both spiritual and mystical properties to the stone. Ancient Egyptians actually used to bury lapis with their dead to protect them on the journey to the next realm. Many people still believe lapis will bring things more clearly to the mind during meditation and it is believed to be one of the most powerful stones used for concentration and communication with the spiritual realm. 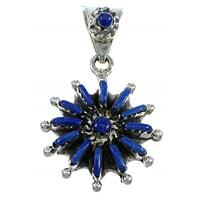 No mater why you choose to wear a lapis pendant, we can help you find the right one for your needs. We also have the best prices available in the industry and consistently offer steep discounts on the most sought after items. Explore our selection to experience a leading collection of lapis pendants designed by the most talented artists in the business. 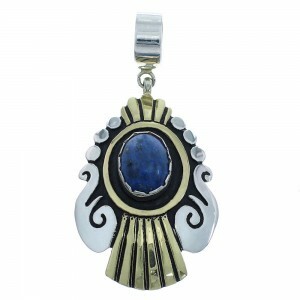 See why our customers always come to SilverTribe for their Southwest lapis pendants. Our selection and customer service leads the industry and you can always count on prompt, free shipping on every order. 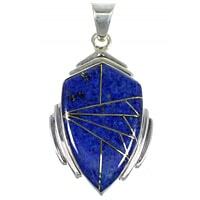 Whether you are looking for a hand-made lapis pendant featuring a single stone or a beautiful multi-stone example, your search ends with us. 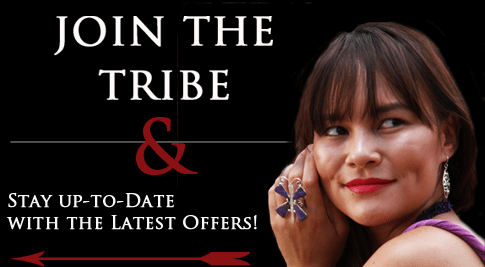 Look to us for all your Native American Pendant purchases. You will not be disappointed.